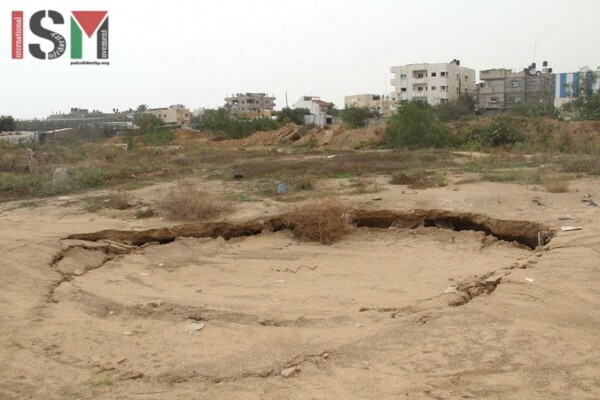 During recent months the subsidence of the land along the Egyptian border have become a great danger for the population of Rafah. This is due to the Egyptian project that has been pumping seawater all along its border with the Gaza Strip. 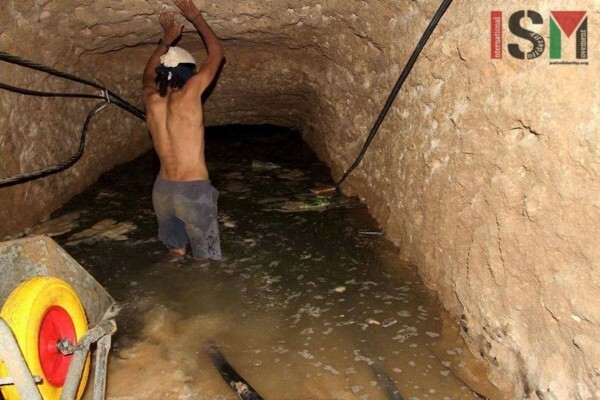 The goal of this project is to flood the tunnels that provided access for the Palestinian people who have been locked in Gaza since the implementation of the blockade imposed by the Israeli occupation. 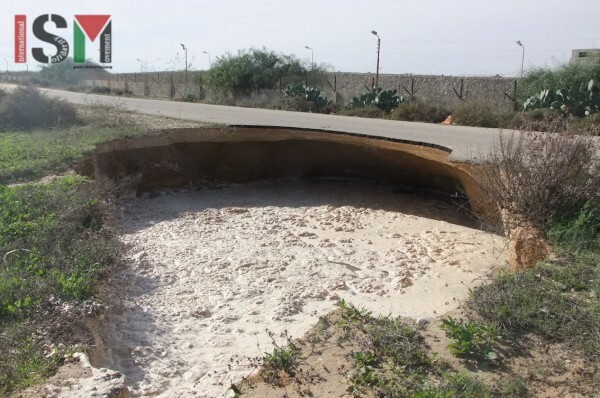 Abdel Aziz El Atar, Head of the Civil Defence Office in Rafah, explains how they are receiving daily calls alerting about the appearance of new holes in the land, the flooding of more agricultural areas by seawater or the flooding of more homes. 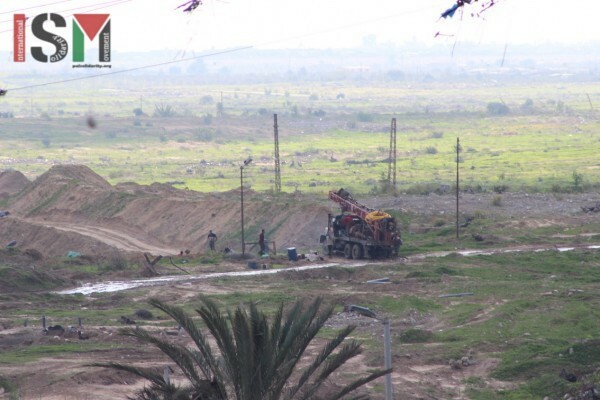 All of this continues to happen despite the fact that most of the homes near the Egyptian border have been evacuated due to the flooding and the high risk of land subsidence. The staff of the Civil Defence Office regrets not having the technology and the equipment required to cope with this situation, “we fear that with the winter and the heavy rains it will just get worse…” “Besides the flooding, we are suffering from the contamination of the aquifers with sea water, the salinization of the croplands… And moreover, this project broke several pipelines that supplied drinking water and destroyed as well the sewage system in some areas near the border”. 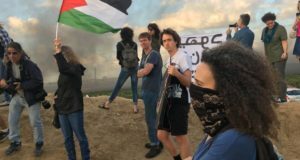 All these dangers and consequences had been warned by a great number of international NGO’s that saw that project as “a new threat for the food security and the access to drinking water for the Palestinians in the Gaza Strip”. In addition, this poses a serious threat for the environment, both for Egypt and Palestine. 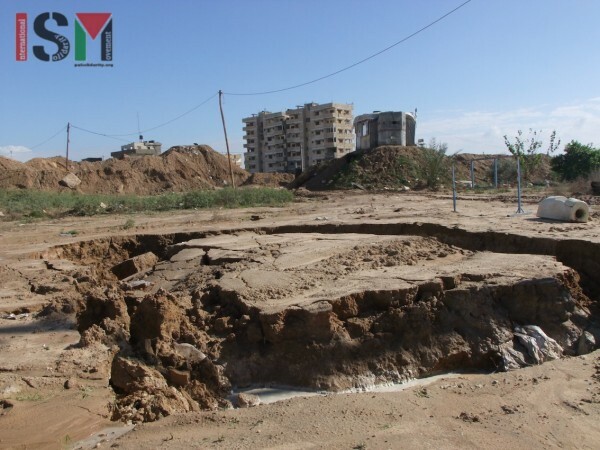 For this reason, the Palestinian Government in Gaza demands that international agencies, such as the UN, take the required measures in order to stop and cancel this project, that represents a clear violation of the international and humanitarian law and of the international conventions and principles regarding common cross-border water resources. ISM also met the Head of Security at the border, who said that actually their biggest concern is that “the wall that separates Egypt from Gaza has been sinking in several points… we are afraid that during the next months it will collapse completely, making it almost impossible for us to keep the security of the border… several security posts have been already displaced due to land subsidence”. 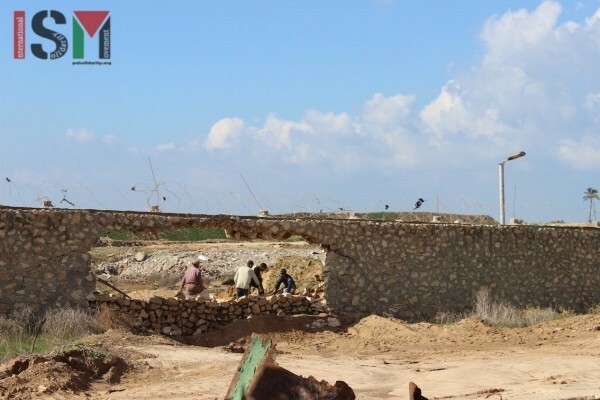 Egyptian soldiers fixing parts of the wall that had been destroyed by land subsidence. He continues, “However, that’s not the only aggression we suffer from the Egyptian authorities; everyday, the Egyptian soldiers insult and open fire both against the Palestinian civilian population from Rafah and against our security forces. 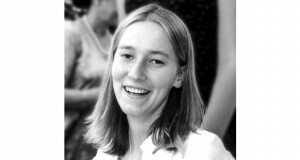 Two weeks ago for example, they shot three workers that were fixing a subsidence near the border. After that, the soldiers entered Palestinian territory and kidnapped the three injured workers. 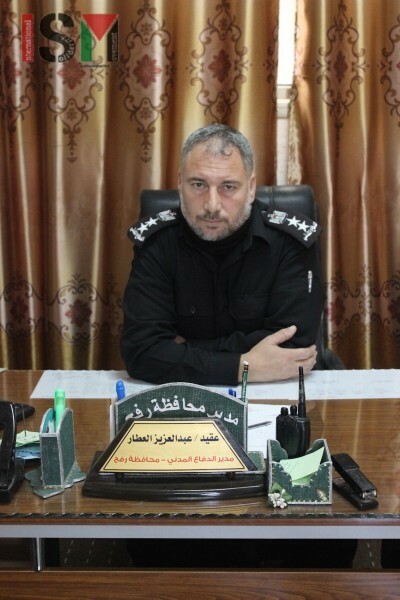 Until now, the government from Gaza doesn’t have any news about them.” He also adds, “Just another example happened a few days ago, when the Egyptian soldiers shot a drinking water deposit”. Both interviewees demand the international community to put pressure on the Egyptian Authorities. “That’s the only way of stopping this humanitarian and environmental crime, as locally, the Egyptian government enjoys the support of both Israel and Ramallah’s governments on that project”.